On January 29, 2018, Governor Phil Murphy signed Executive Order 7 (EO 7) directing the Department of Environmental Protection (DEP) and the Board of Public Utilities to take all necessary regulatory and administrative measures to ensure New Jersey’s timely return to full participation in the Regional Greenhouse Gas Initiative (RGGI). In addition, Governor Murphy sent a letter on February 16, 2018 to the RGGI states notifying them of New Jersey's intent to rejoin RGGI "as a partner in reducing greenhouse gas emissions, improving the health of residents, and growing the economy in our region." The Regional Greenhouse Gas Initiative (RGGI) is a multi-state, market-based program that establishes a regional cap on carbon dioxide (CO2) emissions and requires fossil fuel power plants with a capacity greater than 25 megawatts (MW) to obtain an allowance for each ton of CO2 emitted annually. Power plants may comply by purchasing allowances from quarterly auctions, other generators within RGGI, or through projects that offset CO2 emissions. 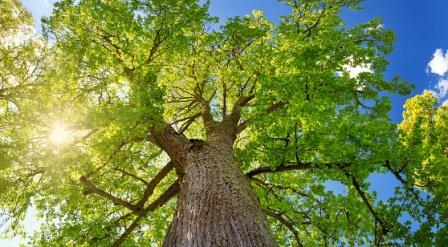 States use the proceeds from the CO2 allowance auctions to invest in strategic programs to help further reduce CO2 and other greenhouse gas pollution, spur clean and renewable energy, and provide rate relief on energy bills. 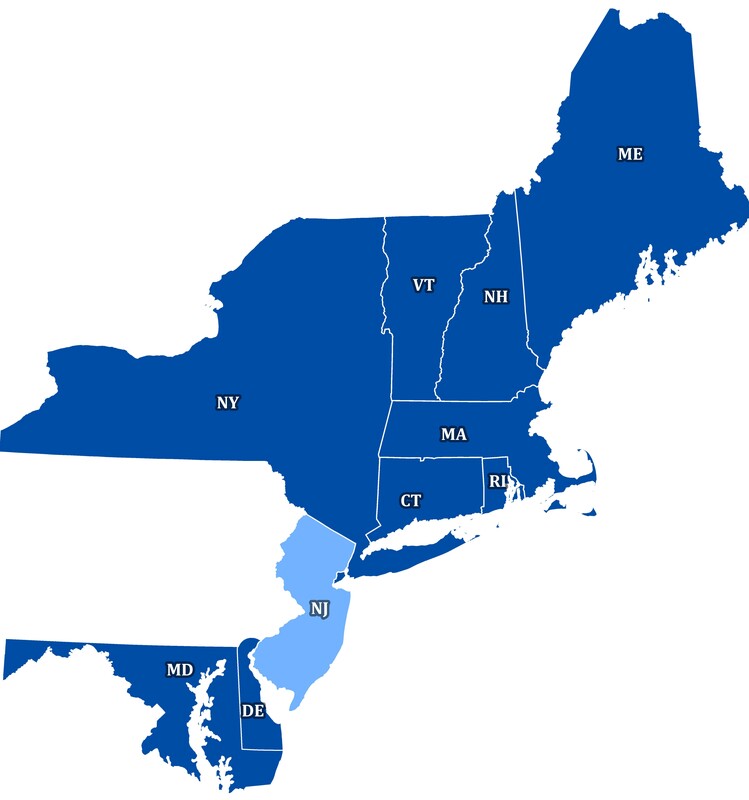 Currently, nine Northeast and Mid-Atlantic states participate in RGGI to limit greenhouse gas emissions generated by fossil fuel-fired power plants. 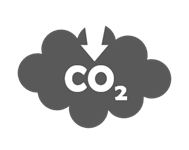 Launched in 2005, RGGI was the first mandatory greenhouse gas "cap-and-trade" program in the United States. 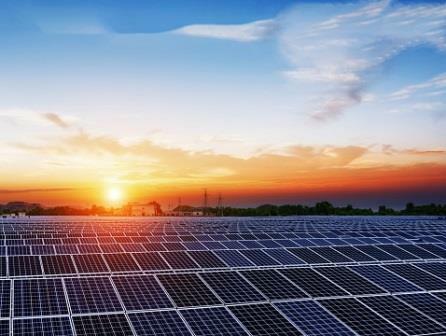 To learn more about RGGI visit: https://www.rggi.org/. 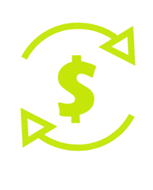 Since the start of the program, RGGI member states have realized numerous benefits including a significant reduction in CO2 emissions and a decrease in electricity prices and have invested over $1.77 billion in RGGI proceeds in energy and consumer programs. Carbon dioxide emissions from power plants in RGGI states have dropped over 45% since 2005. From its launch through 2015, the nine participating RGGI states have invested over $1.77 billion in RGGI proceeds. The CO2 Budget Trading Rule Proposal establishes the mechanisms for rejoining RGGI and sets the State on the path to reduce its baseline CO2 allowance from regulated entities from an initial cap level of 18 million tons in 2020 to 12.6 million tons by 2030. These entities currently produce 20.5 million tons annually. The Global Warming Solutions Fund Rule Proposal establishes the framework for how the State will spend the proceeds from the quarterly RGGI CO2 auctions, emphasizing projects that will support disproportionally burdened communities. The public comment period for both rule proposal is open until February 15, 2019. To submit a comment on the RGGI rules, click here. The Global Warming Response Act(pdf) establishes statewide GHG reduction limits for 2020 and 2050. 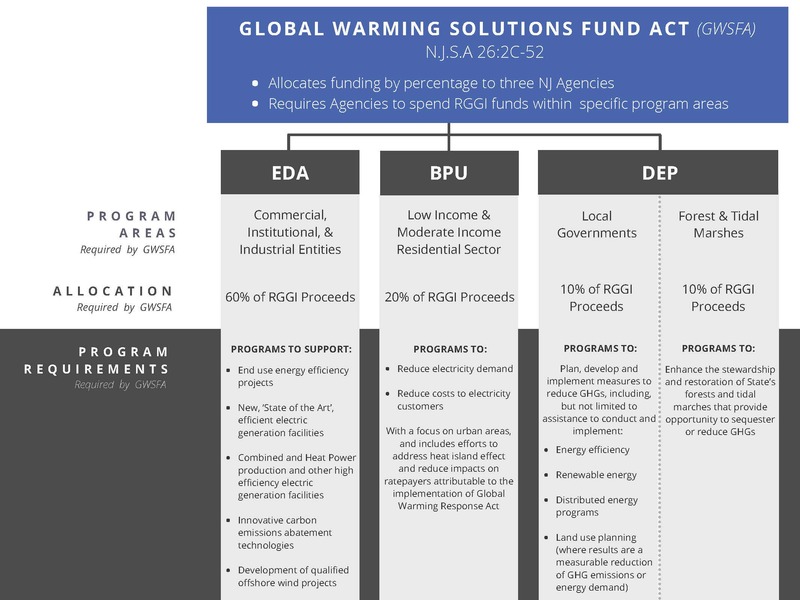 The Global Warming Solutions Fund Act authorizes the State of New Jersey to implement a market-based CO2 emissions trading program, such as RGGI, and directs where New Jersey’s proceeds from the auctions are deposited and how that money must be used. On March 29, 2018, DEP hosted a public information session/webinar about NJ’s path to re-joining RGGI. A link to the presentation and summary notes from that meeting are provided below. For more information about DEP's RGGI Program, contact NJRGGI@dep.nj.gov.